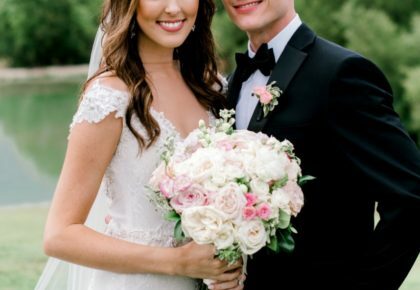 This gorgeous gal is our very own Brittany Statt who tied the knot to her very best friend in an incredibly beautiful wedding this past spring. You can imagine our excitement when Greg popped the question in Napa and wedding plans were officially underway! We absolutely loved watching every detail come together to make her day perfect. The weekend festivities included a fabulous rehearsal dinner at the Westin Stonebriar, and Brittany and Greg were married the very next day on April 26, 2014, at St. Francis of Assisi Catholic Church in Frisco. Following a touching ceremony, the newly married couple and wedding party hopped on a red trolley provided by Blue Diamond Limousines and headed for the reception at Stonebriar Country Club. 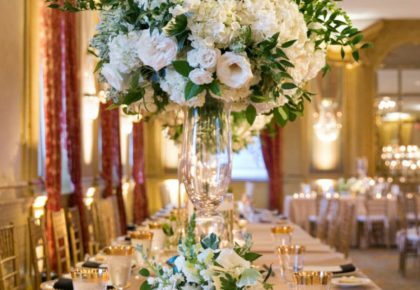 From the dreamy florals beautifully arranged by The Garden Gate to the classic confection from Delicious Cakes, it was exactly what Brittany and Greg had envisioned. The room was dressed in gorgeous rentals and fabulous mood lighting from Xquisite Event Rentals. Brittany and her maids looked simply stunning dressed gorgeous gowns from Stardust Celebrations. The day went off without a hitch thanks to Jen Rios Weddings. The memorable evening came to a close as Greg and Brittany exited with a flutter-fetti farewell and left in a vintage car provided by Blue Diamond Limousines. It was the perfect end to the perfect day! 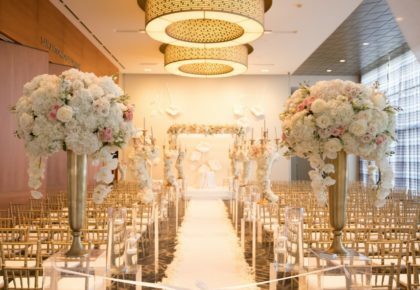 Thanks to Perez Photography for capturing every pretty detail! 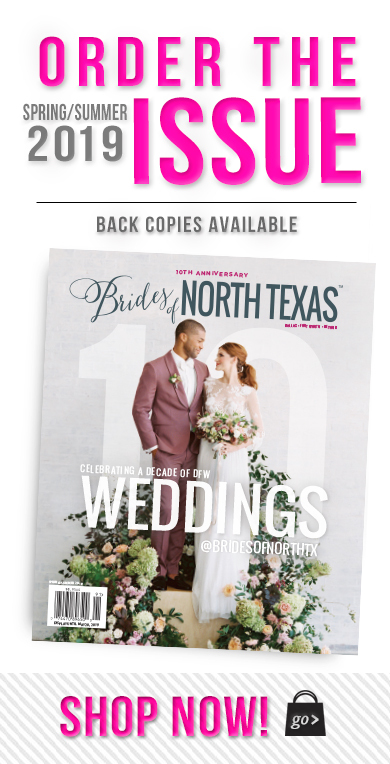 Pick up a copy of the Fall/Winter issue on newstands now to see more from this swoon-worthy wedding!